On April 30, 2008, the members of a Los Angeles-based artist collective known as The Masses were on a bus headed to the tiny town of Marfa, Texas. The group was trekking to the inaugural Marfa Film Festival, where they would feature their various creative projects throughout the festival, and multiple people were filming the journey for what would, no doubt, become part of future creations. Masses member Alex Ebert, lead singer of the rock band Ima Robot, had just purchased the bus carrying everyone on their latest journey, and he was also morphing into his newer stage persona. Ebert’s new band, Edward Sharpe and the Magnetic Zeros was of a more psychedelic folk bent and featured his girlfriend, singer Jade Castrinos. One of the songs they would perform in Marfa would be "Home," a sweet tribute to their love that the couple wrote together after spending a day in the park. It has become their best-known song. The video for “Home” captures scenes from the band’s travels to such locations as Sydney, Australia; Marfa, Texas and the Echo Park neighborhood of Los Angeles, California. However, I've only visited the Texas locations, so far. A brief snippet of video, at about the 1:04 mark, shows members of the band riding bicycles in Marfa. Exclusive: They’re shown riding at the intersection of Waco St at S Nevill St, Marfa, TX 79843. There's a new house in the foreground, but the red barn in the distance still serves as a reference point. Reference: Because so much of the trip was recorded, I found a fantastic video called “EDWARD SHARPE & The Magnetic Zeros ON THE ROAD!” that allowed me to triangulate the locations on Google Maps. I haven't seen this location listed anywhere online. Several brief shots show members of the band walking on railroad tracks, with a clip at ~3:56 showing Alex Ebert near a feed mill. Exclusive: The tracks are near the former Godbold mill, now Baeza Feeds, 305 W El Paso Street, Marfa, TX 79843. Reference: The Godbold sign is a prominent sight in the town, but the “EDWARD SHARPE & The Magnetic Zeros ON THE ROAD!” confirmed that all of the railroad track shots are around this spot. I find the shot of twin pillars under a setting sun to be one of the most striking visuals in the video, so I was really pleased to stand on that spot and get the shot at right. Exclusive: The twin pillars stand on C A A Street at Ranch Rd 2810, Marfa, TX 79843. Reference: Once again, the “EDWARD SHARPE & The Magnetic Zeros ON THE ROAD!” pointed me in the right direction to determine this location. 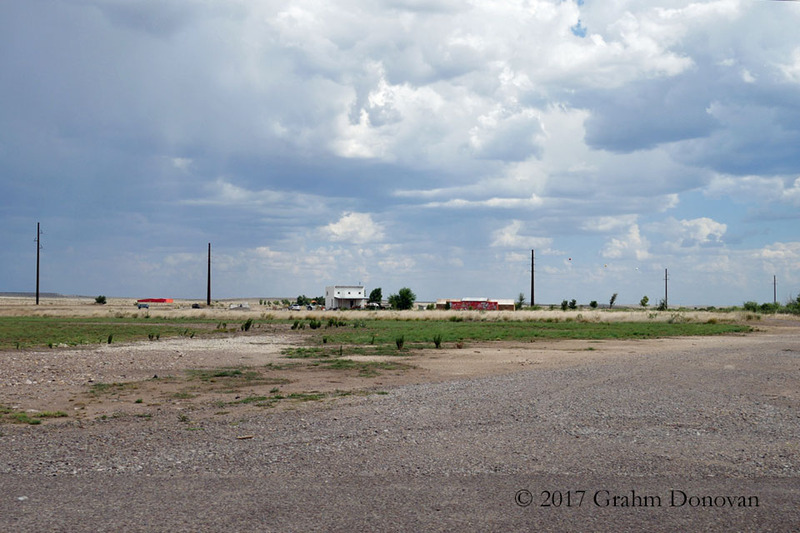 It took me much longer than I had anticipated to write this page because I became engrossed in the backstory of The Masses and their journey to Marfa after I found two published accounts of the trip. Randall Roberts detailed the events in “Heath Ledger's Final Days Among the Masses”* for LA Weekly and Marc-Edouard Leon chronicled the trip in “Rise of the Hippiester” for Flaunt Magazine’s 98th issue. Both versions hint that there was some doubt that the well-worn 1984 Eagle motor coach would get The Masses to their destination, even with a driver named “Cornfed” at the wheel. Both articles also imply that what weighed more heavily on the collective was the January 22, 2008 death of Heath Ledger, who had been a key member, and a financial benefactor, of the group. His loss had been a big blow to those who had worked so closely with the Aussie actor on projects, including music videos that Ledger had directed*. * A word of caution: The LA Weekly site is lousy with autoplay videos and pop-ups, and it seemed to lock up my browser almost every time I visited it. Despite the loss of Ledger, the members of Edward Sharpe and the Magnetic Zeros were able to enjoy their trip to Marfa, where they would be playing one of their first shows as a full band. The videos “Jade On The Road with Edward Sharpe & the Magnetic Zeros!!! !” and “EDWARD SHARPE & The Magnetic Zeros ON THE ROAD!” both show the band members, and Cornfed, in high spirits throughout the trip. In particular, Jade Castrinos just beams as she explores the charming town. after the festival officially closed. I believe that the 20-second video at right (“Marfa Film Festival 2008, Edward Sharpe and the Magnetic Zeroes, First Show Ever?”) offers a brief glimpse of that show, and it gives a sense of the enthusiasm of the band and the crowd. Unfortunately, the video doesn't capture the police raid that helped make the evening so memorable. Both of the published accounts of that night, though, certainly convey the sense that the night was a magical, once-in-a-lifetime kind of event. For that night, it was "Home." For Laura: "Home is when I’m alone with you"